I have the opportunity to review this unique phone accessories today and I am very thrilled to share with you how awesome it can be for your mobile. I have an iPhone and there are times that because of a busy days lately, I sometimes drop my phone unintentionally and I've always felt so bad, as I would like to take care of it as much as possible. iRing is just perfect for this. I received the product in the mail through the USPS and I was impressed that it came earlier than I predicted. No signs of damage due to the shipping and I was able to use the product right away. 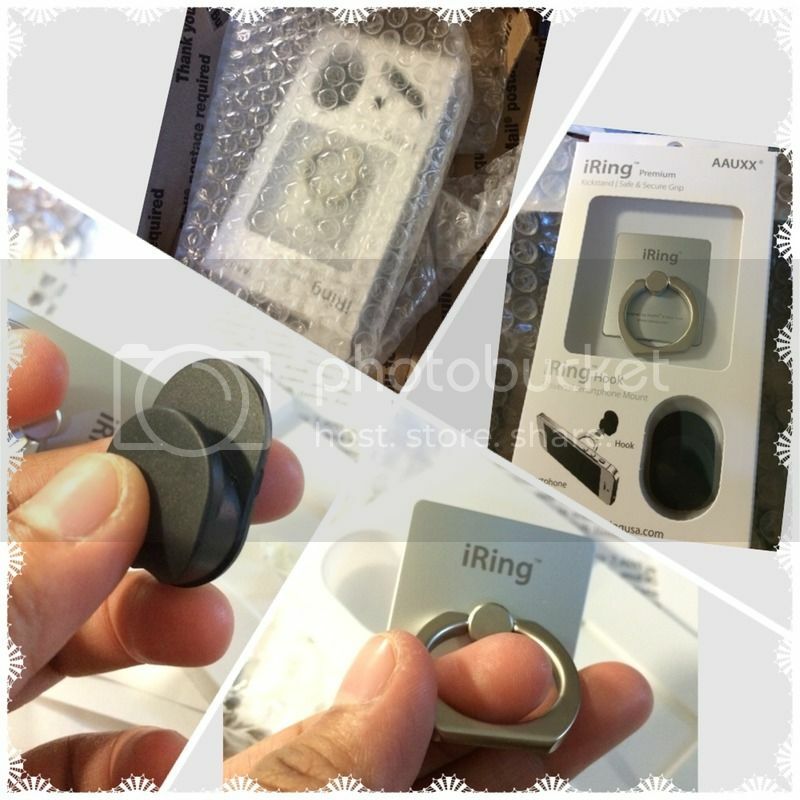 What's inside the box was the iRing itself, a hook and a user's manual simple enough to teach us how to take care of the iRing and how would this product last. No tools needed the installation is pretty much simple. I attached the product towards the back of my iPhone and it does have the strongest grip I've ever noticed. The iRing fits on my finger, which by the way I have a size 6 ring finger. Definitely can use any of your fingers, whichever works for you. It turns too in the comfortable position you can possibly want it. Simple yet I find this interesting and useful product for me. Now I can also attach it to the hook that comes with it and put it on my car that way I'll be able to locate my phone whenever I need it. Also, I can use my phone's map now without putting it anywhere else in the car. You can purchase the product through http://www.iringusa.com. I love the product! It really fits to those busy people who are always on the go. How I wish I'll have one. This phone accessory sounds cool and useful. I could use this. I tend to drop my phone, too and like you, I feel bad when it happens. Never in my life to have a mobile phone but my son does have quiet a number. Perhaps, he should have this one. Laging naibabagsak ang cp nya eh. kaya, bili ng bili ng bago.